Niantic surprised us all this morning with an announcement about Generation 3 Pokémon dropping later this week. Even more surprising is the announcement of a new weather system in Pokémon GO. 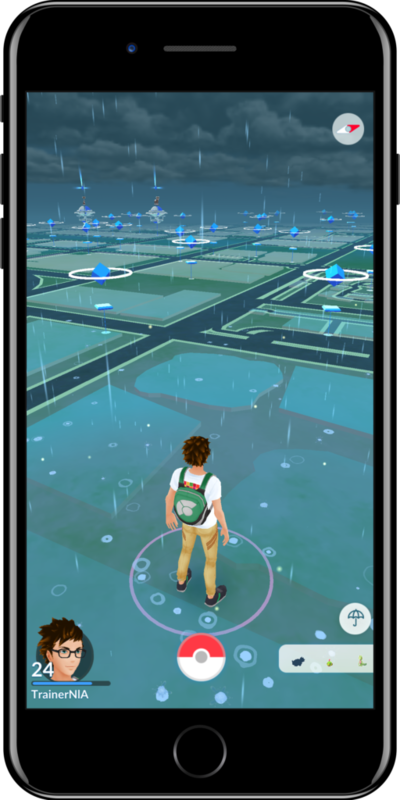 This has been rumored for a while now but actual weather hitting the game will mean an increased chance of catching particular Pokémon. Even more interesting is Pokémon battle effectiveness will also be adjusted based on the local, real time weather. 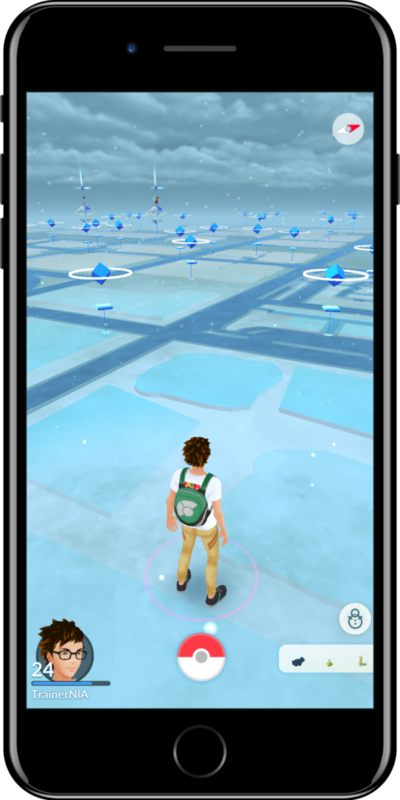 While it seems a little cruel to increase certain Pokémon spawns in the rain and snow it is also a very interesting change to the game. While the third generation of Pokémon will add a very brief excitement to the game it’s just a matter of time before we catch them all and are left with the same game and same problems. I’m in favor of anything which improves the level of strategy involved, particularly in battle. Generation 3 Pokémon are apparently going to be released in waves based on type. For example they will release all the fire type Pokémon, then all the grass type, etc. I know a lot of people will have a lot of different opinions on this tactic but I really feel like, while fun, a new generation of Pokémon is not the most pressing need in the game right now. Niantic has been full of surprises for us lately. The Global Catch Challenge ended with the release of Farfetch’d, something I was not super excited about as a grand prize. 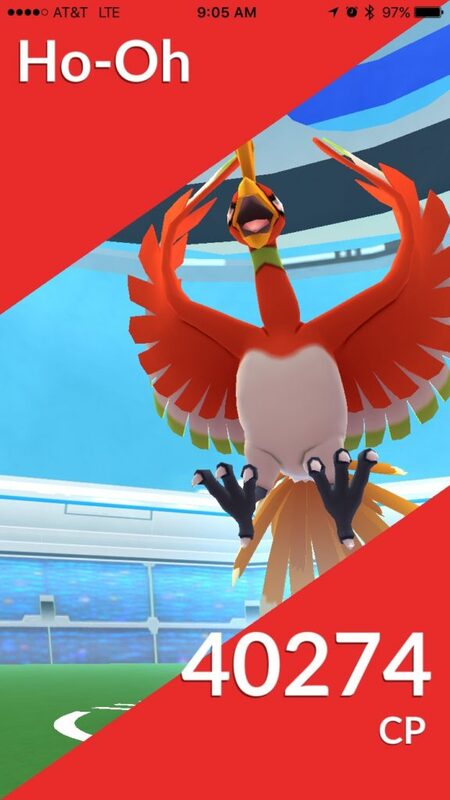 Then they shocked us by releasing Ho-oh shortly thereafter. 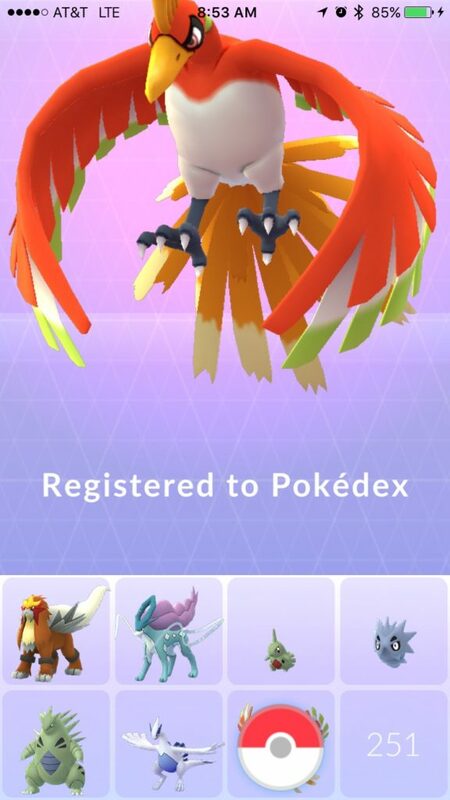 While we all knew Ho-oh was coming eventually no one seemed to know when. With the double XP, and even after the event, Ho-oh raids have been some of the best attended I’ve been to. After a month of Suicune it was easy to get excited about a potentially useful Pokémon raid being released. It was even nicer after Suicune went away and you didn’t have to take your chances waiting for a Tier 5 egg to hatch. Overall new generations are always very exciting. One of the best parts of the game is catching a brand new Pokémon and watching it get registered to your Pokédex. Sadly it is also one of the shortest lived joys. After a few hours of Farfetch’d I was already sick of seeing them. After a few catches unless the Pokémon are very rare or very useful there’s no real point in catching them. At this point I’m most excited about catching a Pidgey for the XP, a Rattata to get one step closer to my gold Rattata badge, or a Magikarp for another crack at a shiny. The introduction of weather is one of the most exciting changes I’ve seen in a while because it is a step toward new game play features that are greatly needed to keep long term players interested. Here’s to hoping we have an exciting December ahead of us!